The Personalised Initial Disc Slider Necklace is a lovely, delicate slider necklace featuring an engraved initial of your choice. 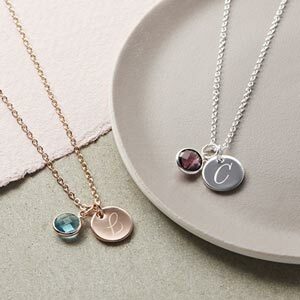 Our Personalised Initial Disc Slider Necklace is a beautiful slider necklace engraved with an initial of your choice, available in silver and rose gold. 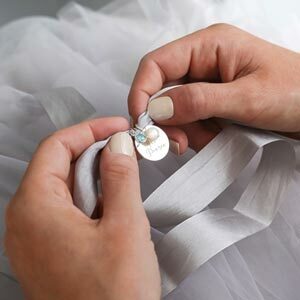 FREE GIFT CARD - Enhance your gift with a free jewellery gift card and organza bag. Really pleased will use again! The necklace is absolutely beautiful, excellent Christmas present! Because the necklace was not real rose gold and I did call and asked please could they exchange it was told no because the disc had a personalised letter (c) the necklace give me a rash on my neck.